One should eat turmeric if memory is weak. Turmeric is beneficial to reduce cholesterol. Eat turmeric to cure wound. Turmeric controls diabetes. It also controls hormone imbalance. Turmeric is beneficial in thyroid. Turmeric increase glow of the skin. Turmeric strengthens stomach and bones. Turmeric is first anti-septic. The knot of turmeric is beneficial for life. Take raw turmeric and tie in yellow color thread and wear it. This avoids problem from getting marry or marital life. Wear turmeric garland on shukal paksh’s Thursday. Chant “Om Narayanya Namo Namah” while wearing garland. In daily life, we take infection at home. Keep turmeric near new born baby. This avoids evil eye. Keep turmeric powder on child’s navel. This keeps child healthy and their mind work good. Children’s mind develops till the age of 12. Cover throat with turmeric if there are problem in relations. Those who cannot save money they should wear turmeric knot. Keep raw turmeric in brass bowl in safe. Chant “Om Narayanya Namo Namah” with turmeric garland to avoid problem from domestic life and employment. Worship goddess Bagalamukhi with turmeric garland to avoid enemies. A person can take five pinch of turmeric during a day. The more turmeric is harmful. The more consumption of turmeric affects liver. The more turmeric creates more hunger. This creates problem. Pregnant women should use less turmeric. Turmeric is hot. This affects fetus. Those who suffer with vomiting and diarrhea they should avoid turmeric. 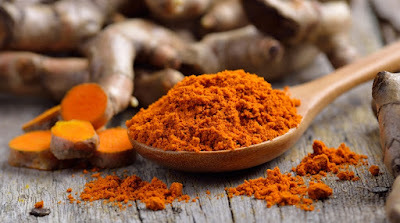 Dry turmeric affects throat. Therefore, eat turmeric with milk or lukewarm water. Avoid turmeric with body heater medicine. Eat less turmeric in hot place. If one gets diabetes in the home then give turmeric to child. Take turmeric and lukewarm water or milk in with empty stomach. Take turmeric with lukewarm water if you are suffering with gas. Apply turmeric with honey on injury. However, apply only turmeric on wound. Apply turmeric on sudden bleeding. Do turmeric, sandalwood and saffron tilak whenever you face financial problems. This is also beneficial to improve relations.